The Simple One filter is currently being used by The United States Navy and The United States Army and has been put on thousands of chairs in private dental offices & large clinics. WHY USE THE SIMPLE ONE?? -Installed chair-side, this amalgam separator is easy and hygienic to use. -Eliminates build-up of mercury in suction lines and avoids costly cleaning and repairs to waste drain pipes. -Only needed for Dr.'s op's no need for hygienist op's. -The DD2011 chair side amalgam filters help prevent waste sludge in main vacuum lines and prolongs the life of the facilities vacuum system. 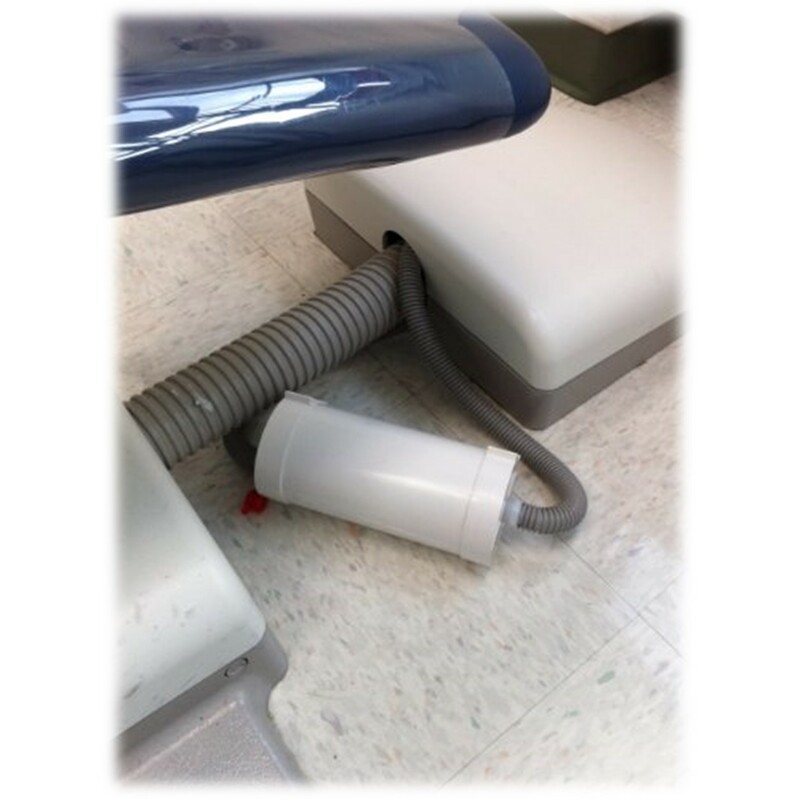 The SIMPLE ONE is a chair side amalgam separator that filters out your amalgam BEFORE it gets into the lines that run from each chair in your office to your central suction system where your central filter is located now. Each line that runs from your chair to the central system can become clogged with amalgam and suction is reduced. This unit is not a pre filter for your amalgam system it is a self - contained amalgam separator that removes 99.6% of the amalgam put through it. The filter mounted chair side eliminates the need to clean your lines of amalgam from the chair to the central suction system saving the cost of cleaning that hazardous amalgam from the lines or even worse the cost of replacing the lines and the down time while it’s done. THE SIMPLE ONE was designed with the new EPA requirements in mind! ISO 11143 Certification.....AND 99.6 % Efficient in clinical testing!!! This filter meets the requirements for dental amalgam separation required in 50 states in the United States. The amalgam separator shown is installed on a Dental EZ chair. The unit is shown placed on the floor next to the chair. do now, or contact us for our recycling service. 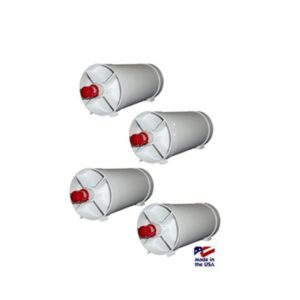 Any questions please feel free to CALL US 800-240-5677 These filters are normally sold and shipped in 4 and 15 packs to your location. ⟵10 Quick Tips Regarding which Sierra Dental Suction is The Best Replacement For My Older Dental Suction.